1204 8th Avenue Wellman, IA. 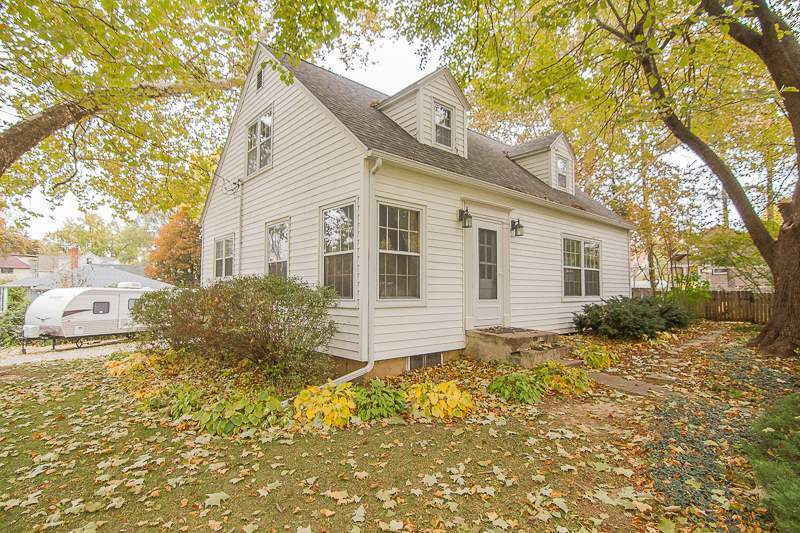 | MLS# 20186112 | Kalona Realty, Inc.; Listings and Selling property in greater Washington and Johnson Co. area. Fantastic 3 bedroom, 2 bath Cape Cod home in a GREAT location! Functional kitchen w/mosaic tile backslash, all appliances included. Formal dining room w/ built-in hutch. LR boasts tons of natural day light, walkout double doors to the deck in the summer & enjoy the wood burning fp in the winter! 2 spacious upstairs bdrms have pine floors, walk-in closets & dormers. Extra storage space & built-ins upstairs. Huge newly finished LL features a family room, 3/4 bath, bonus "Man Cave" & laundry room/pantry area!